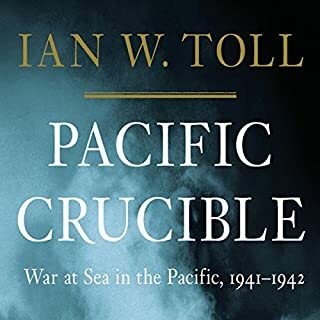 Ian Toll does an excellent job of completely immersing you into the early stages of the war in the Pacific. He demonstrates an innate ability to blend the conveyance of strategic aspects of the war with personal stories and accounts of how the battles and events played out. The book is a historically accurate, complete, and thorough story telling of the early stages of the Pacific war. I was curious as to whether or not I would grow tired of the book considering it is 22 hours long; however, I found myself having a difficult time putting it down - especially with Grover Gardner's wonderful and gripping narration. If you want a nostalgic escape to early-WWII in the Pacific that both informs and entertains, this is the book for you. If you're a sad, self-righteous, ignorant bandwagon-jumper who loves the sensationalism of today's media-driven society and can't bring themselves to appreciate or accept that people like this existed and ended up contributing so much to their country, community, and the positive aspects of American society (independent of any religious affiliation), then you may not like this book. There is well-earned and thoroughly justified reason why the majority (outliers acknowledged) of the members of The Greatest Generation were just that - members of The Greatest Generation. 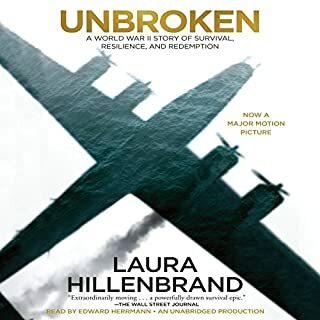 For any person (not just American) who can understand and appreciate how one person's story of enduring, dealing with, and ultimately overcoming the incredible challenges of survival and hardship experienced and finally triumphed over by Louis Zamperini, and how that person's accurately told story can be so indicative of such a large segment of their generation, then you'll thoroughly enjoy this book. My heart goes out to those trifle few who lack the ability to see the powerful nature of this book. I pity their existence and earnestly hope their effect on society is absolutely minimal and localized. To all others, enjoy! (you very likely will - just look at the number of reviews and the average rating... It's hard to argue with that - no matter how 'good' of a 'critic' you might be. If you're on the fence, just get the book, you most-likely won't regret it. (unless you fall in the unfortunate and lost-cause group described above). You won't regret it. 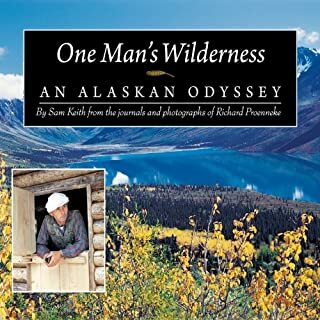 If you want to be transported to Alaska and live vicariously through one man's gratifying story of carving a life in the bush, get this book.